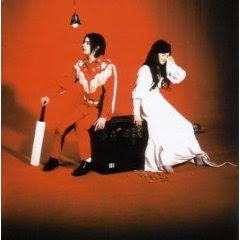 Another great album by The White Stripes, and possibly my favourite one... despite not giving much attention to the ones that followed this, I listened to a bit of Get Behind Me Satan but then I started this list and my musical knowledge stops in 2005. I hope to remedy that soon. This is another album of great music and variety, with a resolutely analogic sound it is one of those album which is best listened to in very loud vinyl, which I fortunately have. The resolution not to use any tools past the 1970s really pays of in the organic and rich sound. Then you have some great moments, like the wordless chorus in the first track or the sonic assault of Ball and Biscuit or even a Burt Bacharach cover. It all ends in a light mood with the last track, fun, light but pretty cool. The album is just great fun to listen to and if you add to this the considerations taken into account while making it it makes for a really great thing. Upon its release, critical response to this album was overwhelmingly positive, and many critics hailed it as the one of the defining events of the 2000s garage rock revival. Uncut magazine remarked that "Elephant is where the tabloid phenomenon of summer 2001 prove they are no flash in the pan by making a truly phenomenal record." David Fricke (with Rolling Stone) called it "a work of pulverizing perfection," adding, "It will be one of the best things you hear all year." and Allmusic said the album "overflows with quality".